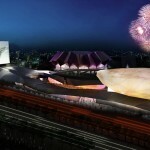 Internationally recognized Reiser + Umemoto (RUR Architecture) has announced the groundbreaking of the 675,000-square-foot Taipei Pop Music Center (TPMC) at its new site in Taiwan, which took place on Wednesday. 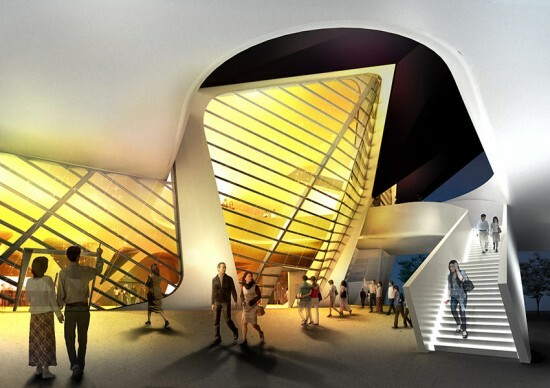 The urban complex confronts the confines of conventional performance spaces, consisting of various multifunctional spaces within a cohesive, vibrant venue that represents evolving pop culture. 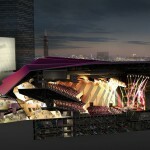 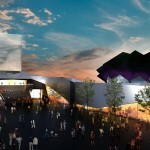 RUR Architecture, along with Fei & Cheng Associates, received first prize at the Taipei Pop Music Center Competition in 2010 for the versatile design. 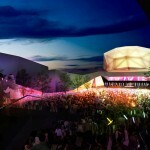 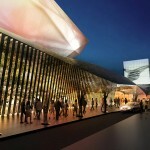 TPMC operates as a global center for the music industry, and the new center connects theater to public space and commerce. 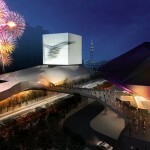 Functioning as a hub dedicated to the celebration, production, and reception of pop music in Taiwan and East Asia, the center is expected to become a powerful symbol of the area’s international pop music industry. The project makes gestures to integrate itself into the surrounding city and attempts to respect the framework of Taipei street life, but the structure maintains a distinctive architectural identity beyond the existing city. 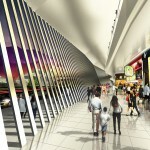 An elevated public overpass will link complex over a major road. 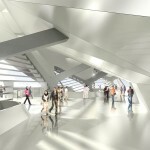 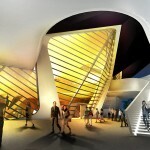 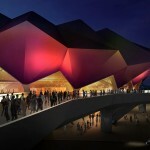 The facility will contain three monumental venues: the Main Hall, Hall of Fame, and Industry Shell. 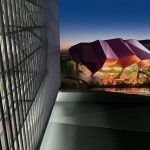 The Main Hall, the largest of the venues, will have a seating capacity of 5,000, another outdoor space cal accommodate 3,000 people and a cubic volume will house the Hall of Fame. 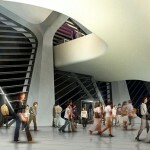 The project is expected to be complete in 2015.